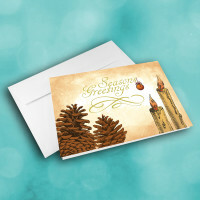 Be unique in your greetings this holiday season with this artistic holiday card. 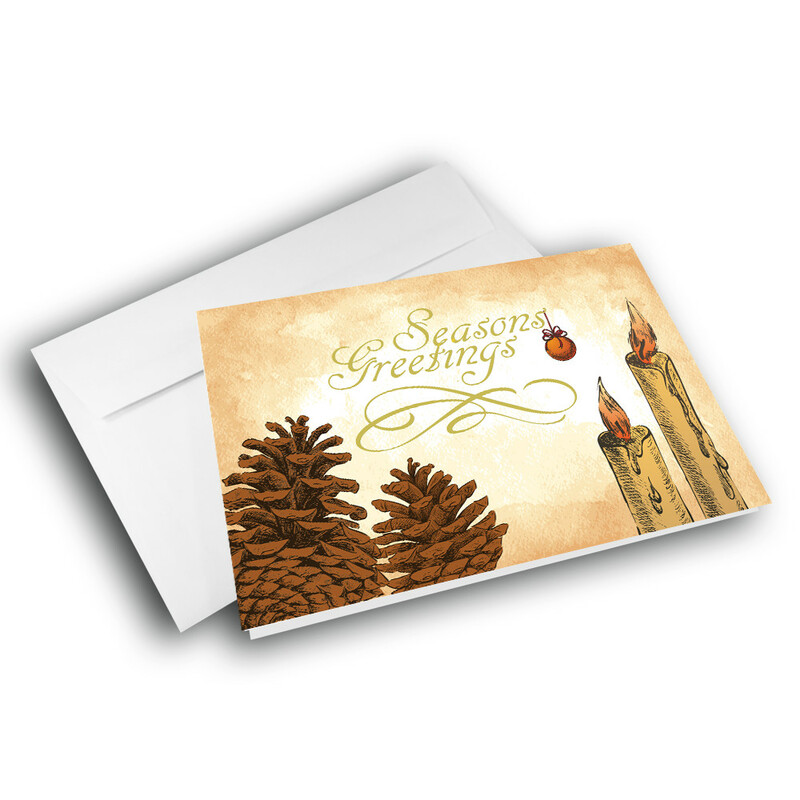 Give out one-of-a-kind greetings with this artsy Christmas card. 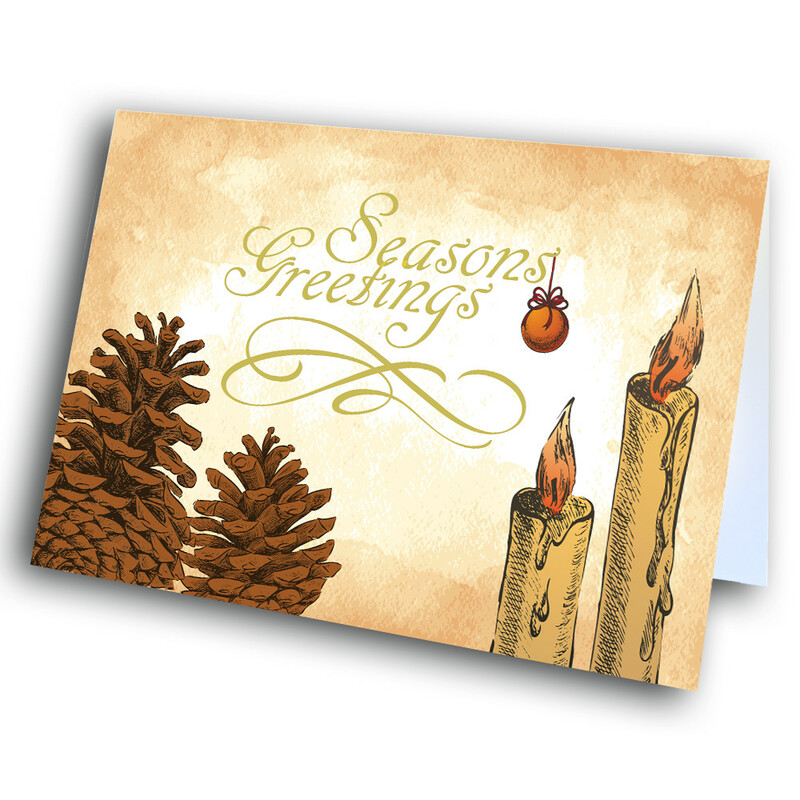 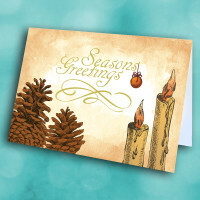 Detailed pinecones and sketched candles rest in front of a rustic brown background. 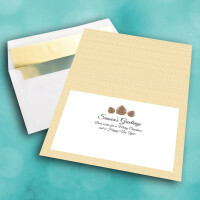 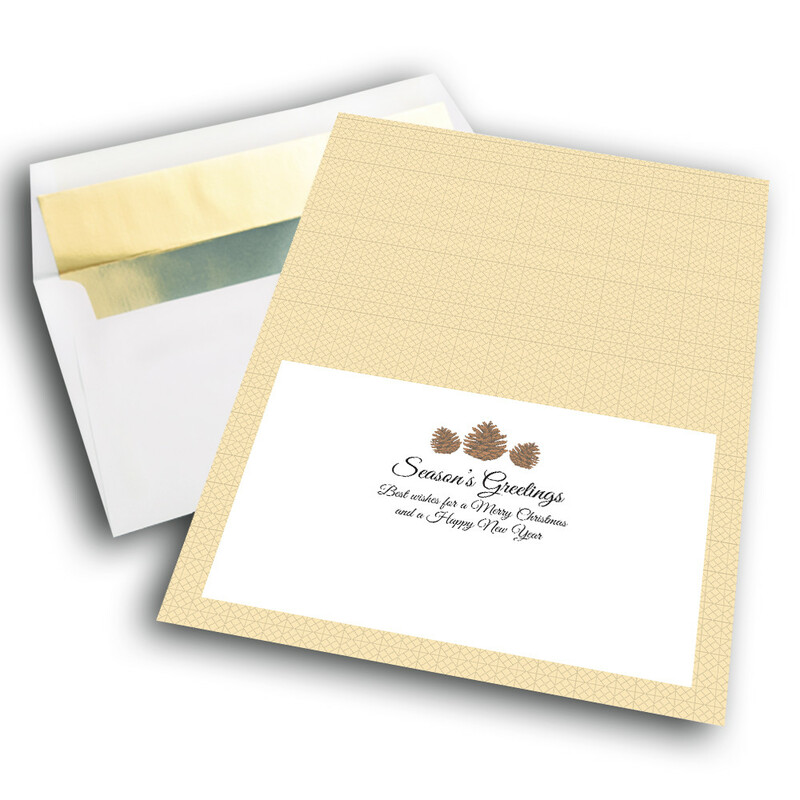 The card holds a warm and comfortable charm, and with a personalized message it will be even more unique.